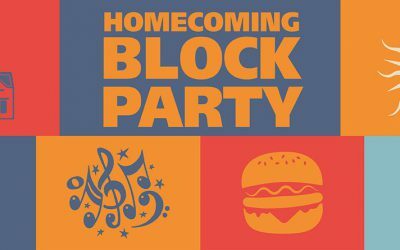 Thanks so much to the 600 band alumni who attended some or all of the Homecoming activities this weekend! Mr. Tibbet and his wife Amelia joined our family Friday and Saturday to experience the heart that goes into the Minuteman Band’s performances. 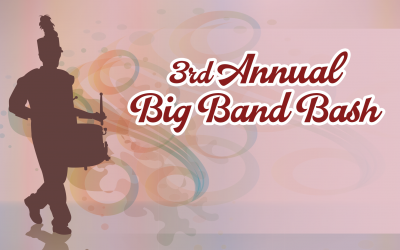 They attended the Band Alumni & Friends Reception, Multibands, and the game, while also making time to tour campus and get to know band members, alumni, and band parents. We feel like part of the family. We feel like part of the band. At the Band Alumni & Friends reception, over 80 band alumni, parents, and fans came together at the newly restored Old Chapel to celebrate an amazing 2017 for the UMMB family. 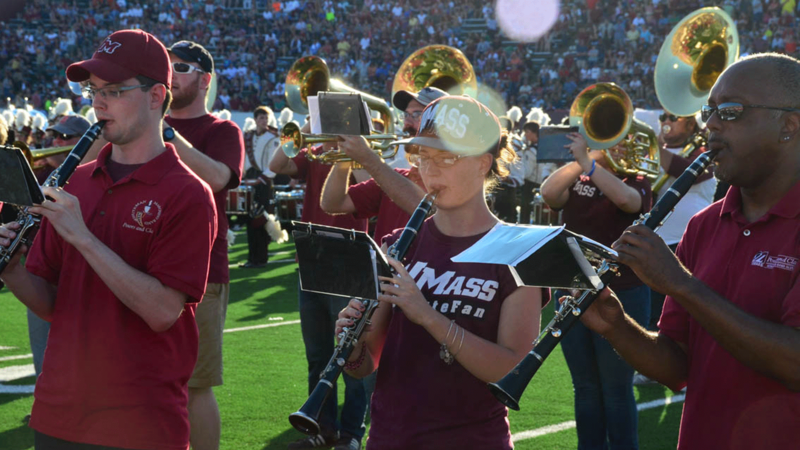 The Band Alumni Association reorganized under the UMass Amherst Alumni Association with the new name UMass Band Alumni Network. 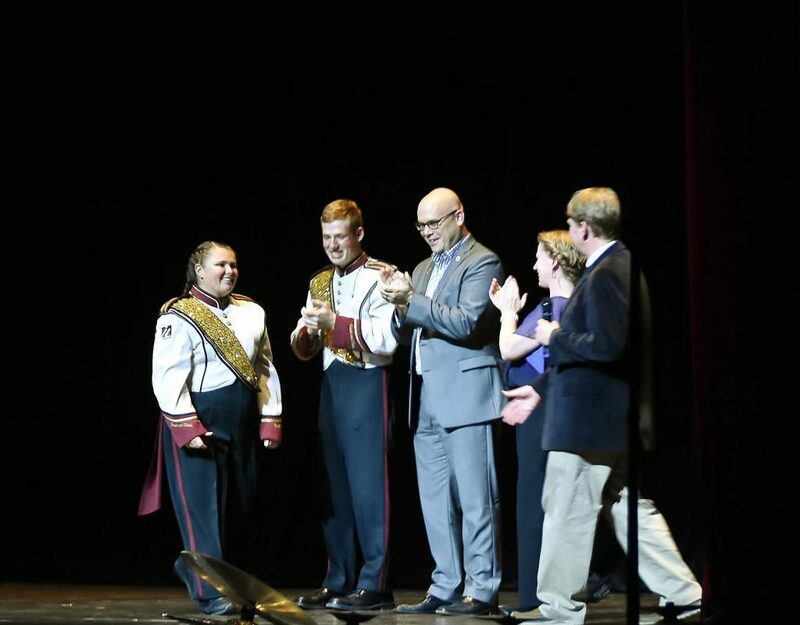 And over the past year, led the fundraising of $160,000 for new band uniforms, which were revealed at the reception to gasps and applause. In attendance were some very special guests, honorary band alumni Jim & Joanne Parker, who donated 100 of the band’s new uniforms. The Parkers have also have an ongoing sponsorship of the UMMB Twirler line, ensuring our award winning twirlers have the costumes and equipment they need. Thank you, Jim & Joanne! Capping off the Old Chapel reception, we held an outdoor sing of “Twilight Shadows” accompanied by the Old Chapel bells (and with a laugh and a tear or two)! The extended UMMB family gathered over refreshments and congratulated Band Alumni Scholarship recipients Kelly Balezos and James Campbell. Both have been outstanding band members who have made sizable contributions in a number of areas. Highlights for Kelly are her service as flute section leader and as president of TBΣ and James for his small group ensemble performances and fixing practically everything as equipment manager. They each received a $1,000 award. The 2017 class of the Minuteman Band Hall of Fame was inducted, with a posthumous recognition for Jim Kierstead ’92 and also includes longtime Band Alumni Network leader Keith Paul ’98. 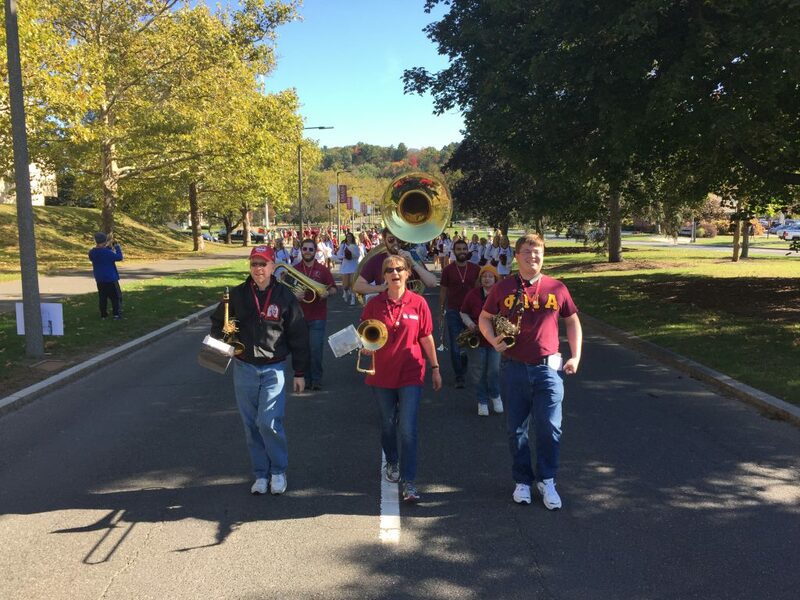 Band alumni joined the Minuteman Band for the Homecoming Parade and joined the UMMB in the stands during the game to cheer on the football team. And the excitement continued at halftime as 75 band alumni danced and performed “Let’s Groove” along with band seniors who performed the tune as freshman. They were led on the field by former drum major James Shetler ’13, ’15 MM. The show continued with the Baby Band joining the Alumni Band for “1812” and “Fight Mass” conducted by former drum major and Hall of Famer Rob Hammerton ’88. 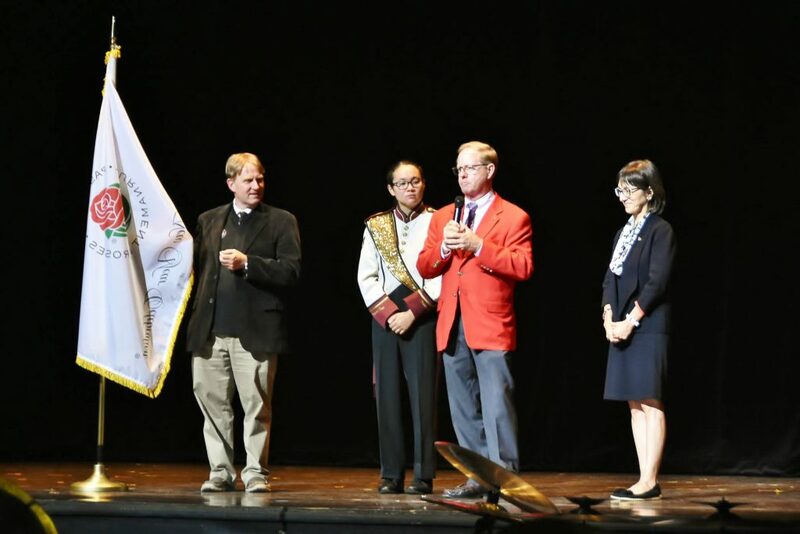 At postgame, the UMMB thrilled alumni with its 2017 field show, with Dr. Anderson even firing a cannon during “1812,” and complete with “Twilight Shadows” conducted by former leader of the Band Parents Association Tom Grady. The day ended with the grand tradition of “My Way” sung on the field by over 400 band alumni accompanying the UMMB!